MBNA Thames Clippers are the fastest and most frequent fleet on the River Thames with departures from major London Piers every 20 minutes. The services stretch from Putney to Woolwich Arsenal and cater for all. Great for anybody looking for a day out on the river! New for 2018 Emirates Air Line and MBNA Thames Clippers Joint Ticket! 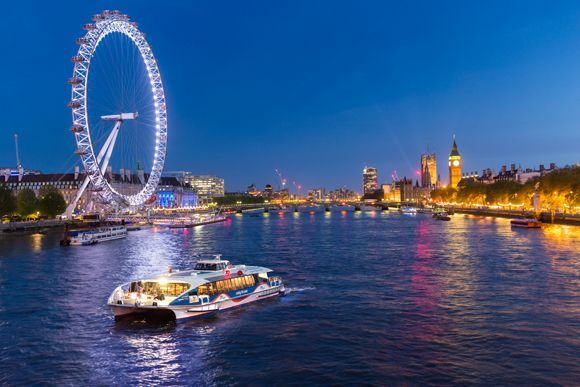 Glide down the Thames in comfort with MBNA Thames Clippers Single and Return tickets. Or choose to make a day of it with hop-on, hop-off all day River Roamer tickets, valid from 9am. Tickets are valid for use between the 15 piers in the Central and East Zones, including North Greenwich, Greenwich, Tower, Bankside, Embankment and London Eye. Whether you want to spend the day sightseeing or take a quick trip by river, MBNA Thames Clippers are perfect for exploring the city. Available from 9am Monday to Sunday, the daily River Roamer and Family River Roamer (for two adults and up to three children) gives you unlimited hop-on, hop-off travel, perfect for exploring the river. This ticket is valid in the Central and East Zones. This ticket is not valid for use in the West Zone or on the River Bus Express (dedicated services for events at The O2). A single ticket is valid for a single journey within the Zones. You can also buy a return journey. These tickets are valid from 6am Monday-Friday and from 9am on weekends and Bank Holidays. Services run every 20 minutes and all services are first come, first served. PLEASE NOTE: Bankside Pier will be closed for a 3 week period, between 7-28 May 2019 to enable dredging to be carried out. 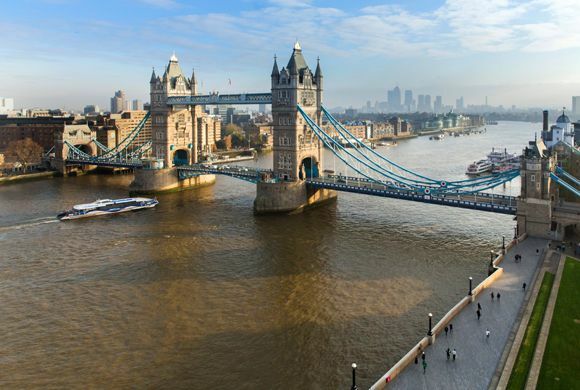 During this time MBNA will not be able to serve the pier – but services will call additionally at Blackfriars, which is a short walk over Millennium Bridge. Unfortunately, the journey via Millennium Bridge is not wheelchair accessible. 24th December (Christmas Eve): Last RB1 Westbound service departs Woolwich at 2005, the last RB1 Eastbound service departs Embankment at 2101. The last RB6 Westbound service will depart Blackfriars at 1932 and the last RB6 Eastbound service departs Putney at 2001. The last RB4 service is at 2200 from Canary Wharf. 31th December (New Year's Eve): Last RB1 Westbound service departs Woolwich (Royal Arsenal) Pier at 1845, last RB1 Eastbound service departs Embankment Pier at 1941. RB1 services will stop calling at London Eye (Waterloo) Pier at 1519. The last RB6 Westbound service will depart Canary Wharf Pier at 1845, and the last RB6 Eastbound service will depart Putney Pier at 1955. Please exchange your ticket at one of the main piers: Greenwich, Tower Millennium or Embankment piers between 10am - 6pm. Please start your journey at one of these piers to avoid disappointment. Please note: the voucher you receive is not for travel, you will be issued a ticket within 24 hours of booking. It is recommended that you arrive 10 minutes before boarding and allow more to exchange vouchers. 02 Express: Runs only when arena events are on. All clippers are fully wheelchair accessible and all piers are wheelchair accessible apart from Cadogan Pier, Wandsworth Riverside Quarter Pier and London Bridge Pier. All boats except the Star, Storm and Sky Clippers have accessible toilets. In order to gain entry you must present a printed copy of your voucher. Please exchange your voucher at ticket offices at one of the main piers: Greenwich, Tower Millennium or Embankment piers between 10am - 6pm. Please start your journey at one of these piers to avoid disappointment.